The Eleventh Doctor actor recently appeared on the BBC Radio 4 show Desert Island Discs and revealed several secrets relating to Doctor Who. During the show, Matt Smith revealed: “I’d never seen an episode [of Doctor Who]. Not one. Not one episode in my whole life.” But after he read the script he thought, “this is brilliant”. When asked about the pressures of being a leading man, he admitted “I wasn’t one.” and during the second episode, he was told “You’ve got to lead this show, when someone comes in you’re the front point.” This advice encouraged him to make a point of welcoming actors who were appearing on the show. On convetions he added, “You do have a minder, but the thing is about Doctor Who fans is that it’s such a nice transaction – and people often say to me ‘Isn’t it a bit mercenary’ and I’m like no, because… that moment where they meet someone that they love is quite an incredible thing.” He compared the experience to meeting footballers that he loves and said this is what inspires him to “give people that moment”. 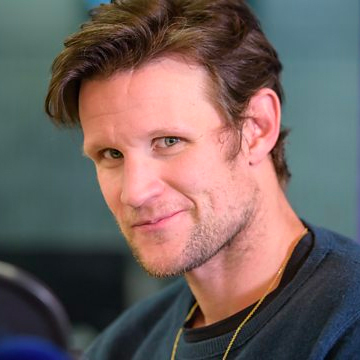 You can hear the full episode of Matt Smith’s Desert Island Discs on the BBC website here.